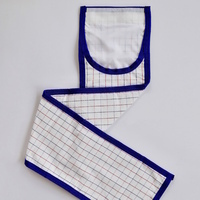 6'9" 6'6" 6'3" 6'0" 5'9" 5'6" 5'3" 5'0" 4'9" (Out of Stock) 4'6" (Out of Stock) 4'3" 4'0"
Unlike other bibs, our bibs come in each rug size - not large, medium & small. 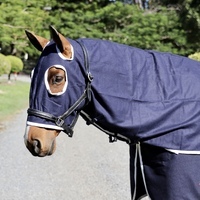 So if your horse is a 6’3” rug size get a 6’3” bib that would fit your horse perfectly. 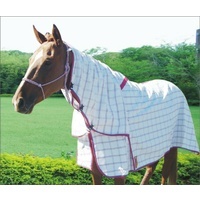 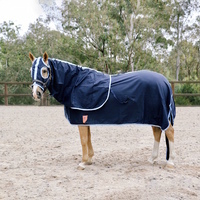 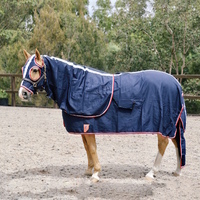 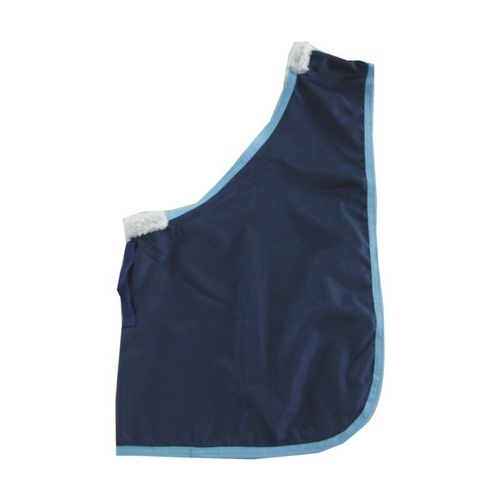 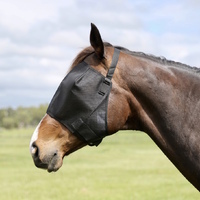 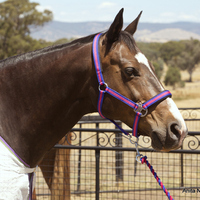 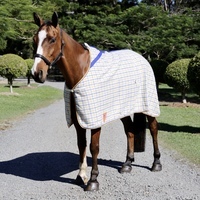 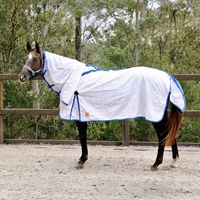 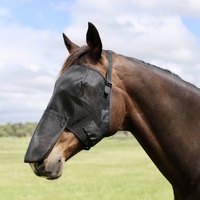 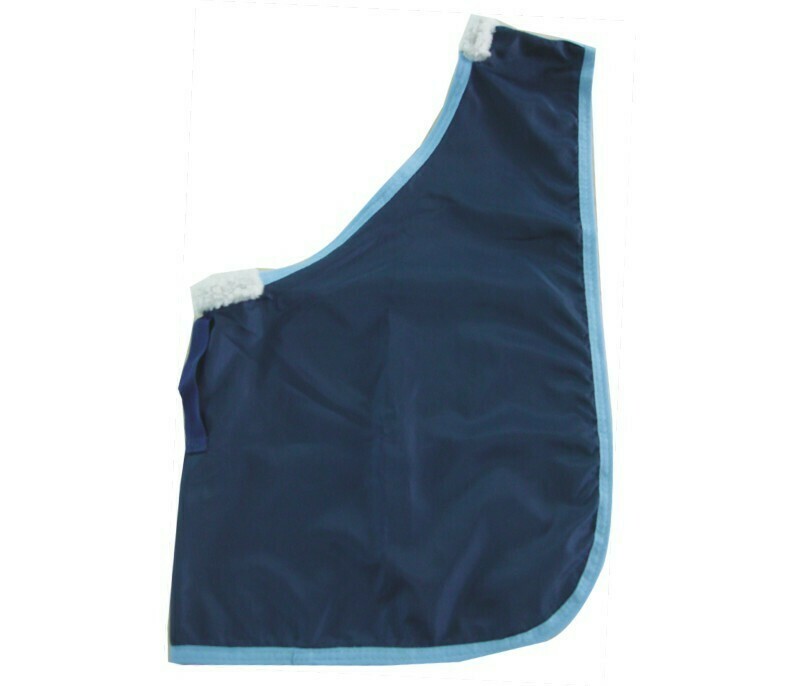 Made using our soft 70D lining, the bib will prevent any rubbing at the shoulders and will protect your horse’s coat. 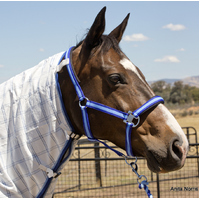 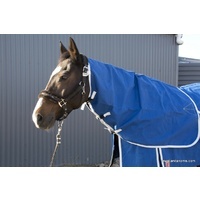 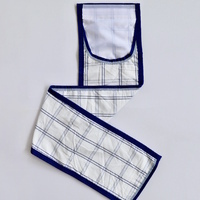 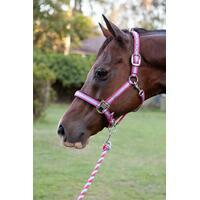 We have also provided a loop the front to thread your rugs chest strap that will keep the bib in place. 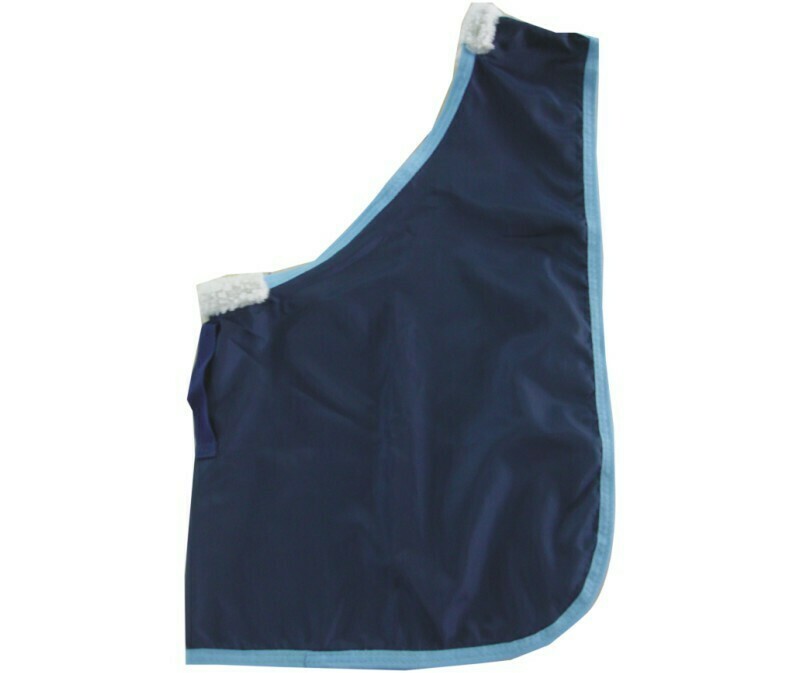 For further protection from rubbing, synthetic lamb’s wool patches have been stitched at the top and bottom of the neck line. 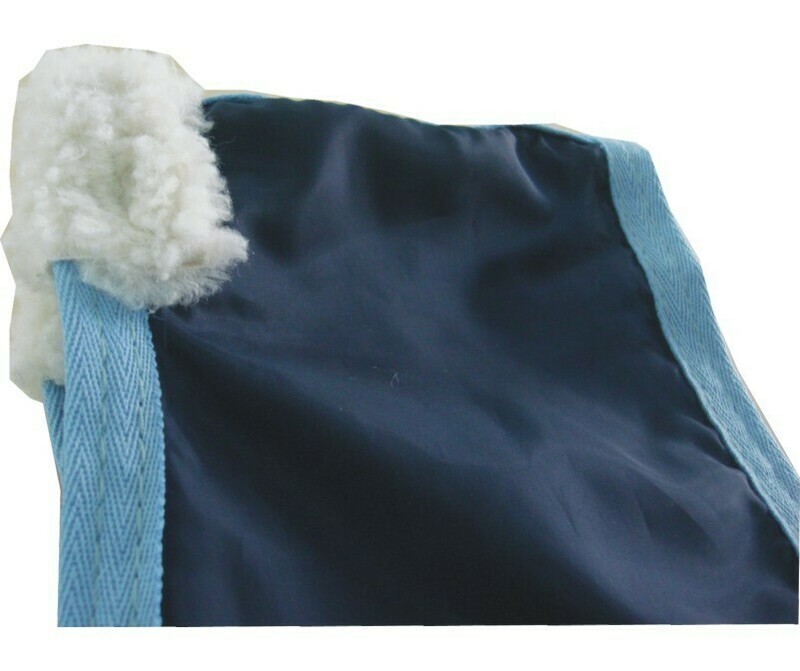 Bound with a matching Sky Blue Polyester binding. 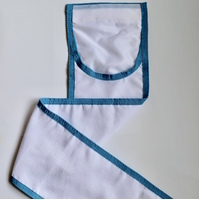 PP Loop at the chest to keep the bib in place. 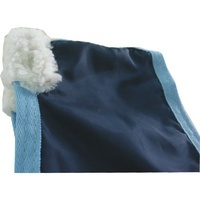 Synthetic lamb’s wool patches for further protection.